Pacific Agroecology LLC was founded in 2010 by Drs. Joshua H. Viers and John N. Williams in Davis, California. To learn more about PAE’s consortium of senior scientists and their extensive international experience, please click here (link). Josh Viers has over 15 years of professional experience in landscape ecology and watershed science, and serves as PAE’s Chief Executive Officer. By leveraging geospatial technologies and informatics, Dr. Viers has developed innovative research and development solutions for public and private clientele in a variety of sectors, including conservation, restoration, and sustainability. He combines senior project and program management skills with strategic planning and scientific rigor to execute a wide variety of projects globally. He has managed over $20M in applied research; authored or co-authored 75 papers, reports, and book chapters. He was also certified by the Water Footprint Network to calculate water footprints for consumers, sectors, and geographic locales. 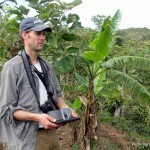 Josh earned his Ph.D. in Ecology at the University of California, Davis, where his research focused on the application of new geospatial technologies to watershed sciences, as well as a BSc in International Agricultural Development, where he focused on small farm organic production methods. He speaks English (native) and Spanish (working). John Williams is an ecologist and researcher at the University of California, Davis, and serves as PAE’s Chief Scientific Officer. His work focuses on the nexus of humans and natural systems, where he uses an ecological framework to examine topics related to biodiversity, conservation, ecosystem services, the interface between agriculture and natural habitat, and human demographics. His recent work looks at ways to assess and conserve biodiversity in working landscapes, including vineyards, rangelands, coffee plantations, and community forest reserves in both temperate and tropical landscapes. John is also a visiting scholar at the Gifford Center for Population Studies at UC Davis, and recently completed a study on human population growth in the biodiversity hotspots. Previously, John worked for Conservation International, where he directed their Population and Environment Program. He has also worked as an environmental consultant on forestry issues in Latin America and served as a Peace Corps Volunteer in Morocco. He received his Ph.D. from UC Davis, where his research focused on the patterns of tree diversity in the tropical dry forests of Mexico. John holds master’s degrees in environmental management and public policy from Duke University and a bachelor’s degree in biology from Colorado College. He speaks English (native), as well as French (fluent) and Spanish (fluent). 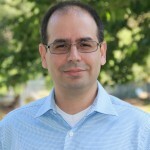 Josué Medellín has extensive experience modeling agricultural production in California and other locations in the world including the US Mexico Border in California and Texas, Chile and Brazil. He has participated in the development and maintenance of several large-scale hydro-economic models for water management in California, including: the Statewide Agricultural Production Model (SWAP), and the California Value Integrated Network model (CALVIN). His expertise is in the modeling of agricultural production to incorporate extrinsic environmental factors, such as salinity and nitrate management in California’s Central Valley, and adaptation to climate change. His efforts have been instrumental for connecting economic capabilities of agricultural production models such as SWAP into hydrologic platforms like the WEAP model from the Stockholm Environment Institute. Josué has also extensive experience in conducting region-wide economic impact studies for various sectors including agriculture, power generation, processed agricultural products using the IMPLAN model. Dr. Medellín has been a consultant for the World Bank and the Natural Heritage Institute, the Stockholm Environment Institute and the Catholic University of Chile on water management issues, and has industry experience as an engineer supervising infrastructural projects and managing environmental affairs. He speaks Spanish (native) and English (fluent).